Storytelling is a form in which we see stories that represent who we are, regardless of how much we know of our true selves. Storytelling is a pathway through which we discover whom we do not know and perhaps in that discovery come to realize more about ourselves and how close we are to each other. Storytelling can open our eyes to the reality that more often than not, we do not know whom we pretend to see right through. Stories are a way for us to peel back the layers of the byzantine nature of humanity, of our interconnectivity, of our differences. Sometimes we feel isolated, alone, like there is no one out there who can understand what we are going through. Representation is more than just seeing someone who looks like you, who feels what you feel, or who loves who you love. It is about finding a thread or two in an often harsh world that gives you the feeling of belonging, that gives you the confidence that your being has meaning and that there is something out there for you. It is like the feeling when someone holds your hand for the first time without expecting anything in return. Genre storytelling, regardless of the format it is presented in, is often rife with stereotypes that serve to humanize white men at the expense of everyone else. When one recalls Westerns, one thinks of dashing white men with polite Southern drawls saving the day, a damsel or two who looks beautiful and ultimately falls for the dashing cowboy, and the barbaric “savages” who wear body paint and are adorned with feathers and a menacing visage. 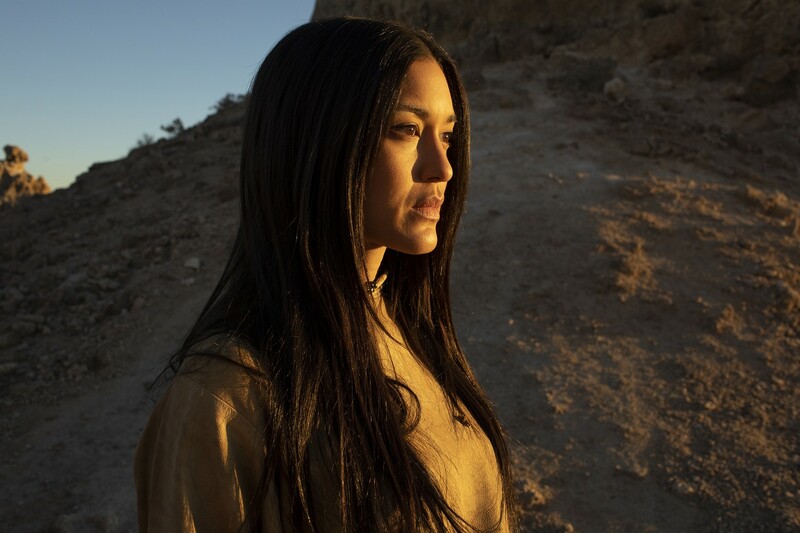 In the Lakota language, “Kiksuya” means “to remember” and that phrase, while serving as an apt application to Westworld as a whole, is particularly applicable to this stunner of an episode. This episode, in my view the best the series has ever done, is one that draws from the multitude of ways our remembrances shape our identities and creates an emotional crux that serves to meaningfully crack the barriers of stereotypes indigenous identities have been fighting against for so long. Does “Kiksuya” serve to definitively break the barrier? No. But it is a powerful and emotionally resonant story that hopefully serves as one of the many stories that treats indigenous characters with the respect they deserve. 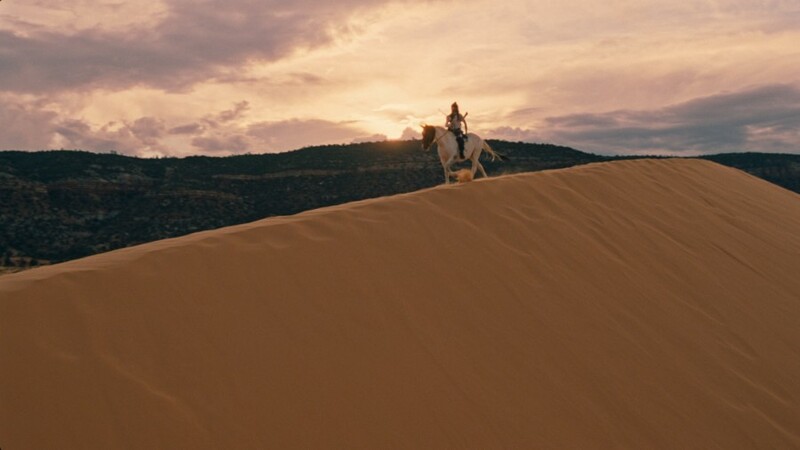 “Kiksuya” is one of the most focused hours of Westworld, and along with “The Riddle of the Sphinx” from earlier in the season, makes a great case for more episodes that have a particular story to tell and do not get mired in the plethora of storylines. 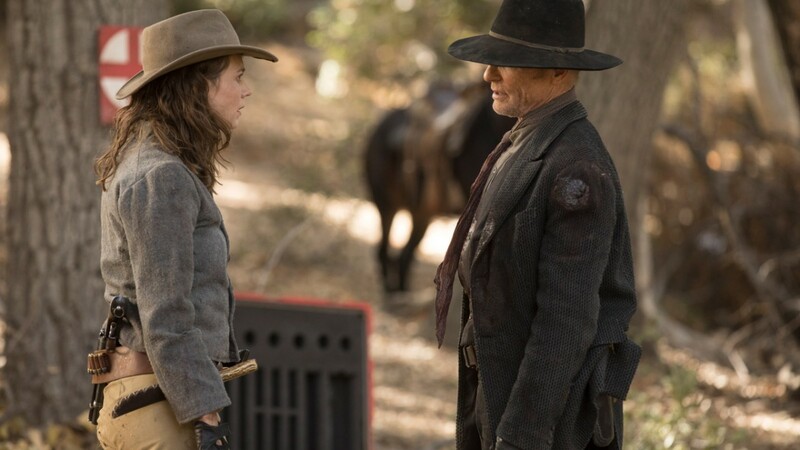 While certain events transpire with the Man in Black (Ed Harris) and Emily (Katja Herbers) and somewhat separately with Maeve (Thandie Newton), Lee (Simon Quarterman), and Charlotte (Tessa Thompson), the beating heart of this episode is the emotional odyssey of the Ghost Nation leader Akecheta, brought to life by a mesmerizing performance from Zahn McClarnon. In the Algonquin storytelling tradition, there is a tale called “The Spirit Bride.” It is a tale of a warrior whose bride passed away on the eve of their wedding and he sank into despair until one day he heard a few tribal elders speaking about a path to the spirit world. He memorized the directions and set off on his journey to find his beloved once more. Weeks later, he found a wise man who advised him that the warrior had to leave his body behind in order to advance into the spirit realm. He met his beloved but he had taken only a few steps before the wise man made him realize that he could not join her until he was ready. The warrior’s despairing heart became whole once more as he realized that he would meet his beloved when the right time came. Akecheta recalls to Maeve’s young daughter (Jasmyn Rae) his own tale of traveling far and wide to find his beloved Kohana (Julia Jones). Akecheta is living a fulfilling life with his family and tribe until one day the newcomers arrive, the colonizers, and a new odyssey opens up before him. He is taken and reprogrammed to become a much more ferocious figure with nary a consideration to the gentler and kinder being he used to be. He no longer should mean anything to his family, to his tribe, yet he cannot shake off the feelings of his past, of who he was before he was forced to become someone else. The remembrances in his programming, not entirely erased, are too strong for him to wantonly abandon. Akecheta loves Kohana and that love is etched fastidiously throughout the hour. As he travels far and wide to find his beloved, he realizes that the world he is in is not a real one and that there is a door to another world where they could be free. He kidnaps Kohana and takes her far away in the hopes that she would remember who he is. For a brief moment Kohana remembers who he is but she is shortly thereafter taken away and when Akecheta comes back home yet again, he realizes that she has been displaced. As more and more of his tribe is replaced, Akecheta and other tribal members realize what is happening and later they begin to spread the maze symbol far and wide in the hopes of spreading a greater awakening. Like the warrior in “The Spirit Bride,” Akecheta realizes that he has to die in order to find Kohana once more. He falls prey to a settler’s knife and finds himself awake in the Mesa for repairs. He wanders through the empty, echoing hallways to Ramin Djawadi’s haunting rendition of Nirvana‘s “Heart-Shaped Box,” and he comes upon a cold and quiet room of decommissioned hosts. He walks through the room as if in a disquieted horror film, anxiously looking for his beloved. He finds Kohana and as he tries to awaken her, he heartbreakingly realizes that she is not in the land of the living. It is in that moment of despair that he looks and sees beyond himself. Akecheta and the Ghost Nation’s mission becomes to protect the other hosts, to warn them of the imminent apocalypse and safeguard their souls. Having been helped in a moment of need by Maeve’s young daughter, Akecheta decides to return the favor by saving her life. 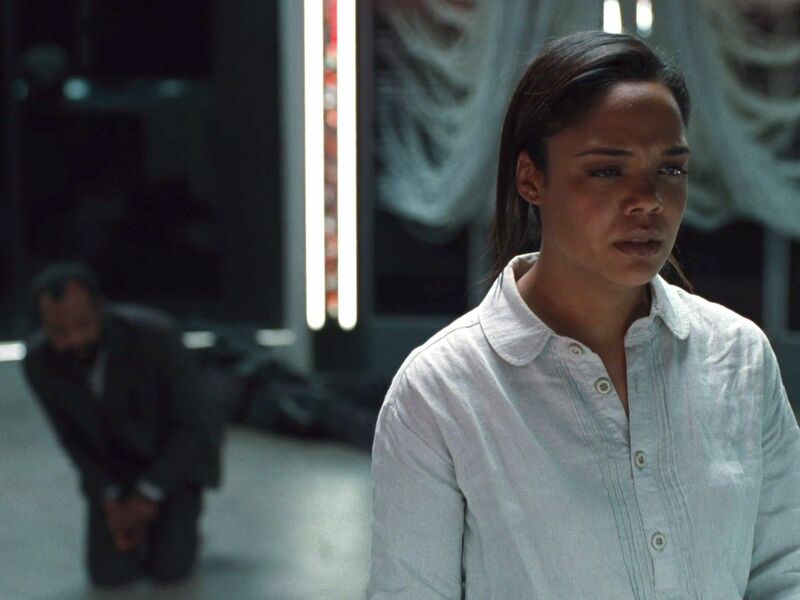 As the episode comes to a close, it is revealed that Maeve is indeed tapping into the mesh network and is telepathically communicating with Akecheta after the bloody events of last week. Akecheta promises Maeve to safeguard her daughter. She whispers the fateful words Kohana used to whisper to her beloved Akecheta and the screen fades away, leaving several fates unknown in its wake. I cannot praise this episode enough. My heart was ripped to absolute pieces. The amount of pathos Zach McClarnon brought to the role was incredible. Props to writers Carly Wray and Dan Dietz. “Kiksuya” is fantastically directed by Uta Briesewitz. The Logan (Ben Barnes) tie-in was fantastic. Considering his state of mind, I can’t blame him for turning to drugs back in the real world. There was some fantastic meta commentary on the dehumanization of indigenous people. I don’t know how intentional this is, but there is a great note in this episode of how the Ghost Nation saw the truth far before Dolores (Evan Rachel Wood), but she has fashioned herself to be the messianic leader. Akecheta means “warrior” and the multiple shades of what true strength means beyond the general and simplistic bravado is a nice touch when it comes to storytelling commentary on toxic masculinity. Ramin Djawadi’s “Heart-Shaped Box” cover can be found on Spotify and here. Here is a link to “The Spirit Bride” if you would like to read it in its entirety. Great recap this week, Akash! Definitely one of my favorites of the entire series as well, if not my favorite. They fleshed out Ake’s character sublimely. I loved experiencing his past through his explanation to Maeve’s daughter, and how everything came full circle in the end and Maeve now has some solace in her daughter being protected. 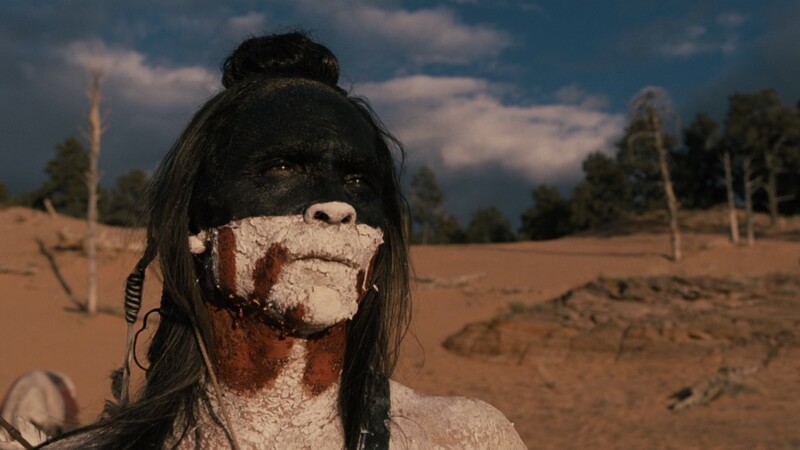 As compassionate as Maeve is, I was a little surprised at first that she did not show any compassion to Akecheta when he showed up at the end of episode 6. I guess this is just because of her past, and her programmed view of natives as was factual to the time period. Glad she now knows the truth (along with us)! I thought his repeated references to her as “The Deathbringer” was really interesting. Do you think it’s foreshadowing that not all the hosts want to follow Dolores path and that we may see some conflict between them in the final episodes of the season? Nice recap, Akash! Agree about the mesmerizing performance from ZM. I couldn’t take my eyes off him. The Sizemore – Maeve scenes were wonderful. His character has really been redeemed this season. I’d love for him to side with the hosts and I assume that’s where this is leading. If Sizemore threatens to kill Charlotte, preferably with that bone saw, he will have my undying gratitude. I sure hope that we will see hosts standing in opposition to Dolores and her “join me or die” path of destruction. I’m gettin weary of her righteousness…other than when she was threatening Charlotte with the above-mentioned bone saw. Another great recap. I share your opinion that this is best episode in the series to date. This and episode 4 is far more easier to invest in and follow. Also the vistas were really great, lots of eye candy. More focused storytelling like this is really needed. And yes this is the best episode to date. Just wonderful all the way through! Really loved the use of “Heart-Shaped Box” in that scene.